If you’ve ever wondered what your family heirlooms, yard sale treasures, and collectibles are worth, the River of Time Museum in Fountain Hills, AZ has a deal for you! On Sunday, March 4, 2012, from 10:30 am to 3 pm, expert volunteer appraisers can tell you the approximate quality and value of your treasures. Appraisers will evaluate books, coins, jewelry, cut glass, pre-1900 clocks, guns and WWII memorabilia, native American rugs, baskets, jewelry and more. This “Antiques Road Show” style event is free for those who want to watch and listen to the appraisals. If you wish to have items evaluated, the cost is a $10 donation to the Museum for the first 1-2 items, and $5 for each additional item. The evaluations will take place in front of the Museum/Library complex adjacent to the Centennial circle. As a special bonus, admission to the River of Time Museum is free to the visitors throughout the day, and lunch-time entertainment will be provided by western music stylist Jim Doeden. Hot dogs and drinks will be available on site. During the event the Museum’s store will be open. Take time to browse high quality hand-crafted Native American Jewelry, plus a great selection of books, original art and photos and items celebrating Arizona and our Centennial. Also featured are many quality keepsake items ideal for your visitors and guests. 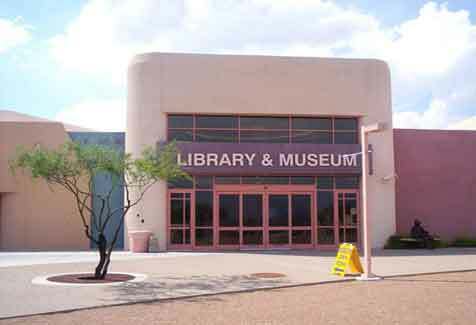 The Library/Museum complex is located at 12901 N. La Montana Blvd, Fountain Hills AZ 85268. For more information on this and other River of time Museum events, check out the Museum’s monthly newsletter . This entry was posted in Area Events, Arts, Culture, Schools & Clubs and tagged Antiques Road Show, Fountain Hills Relocation Guide, River of Time Museum. Bookmark the permalink.